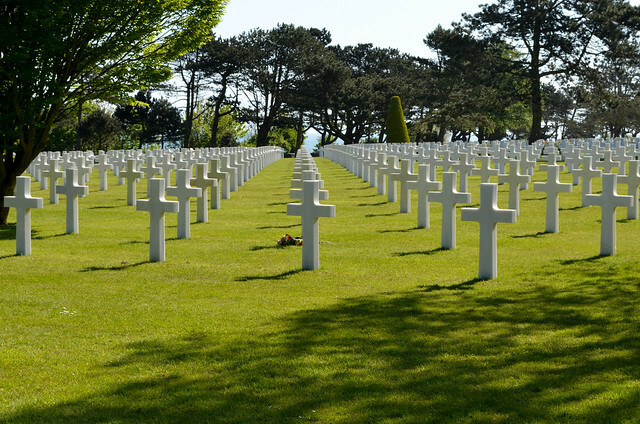 We were here too: The cemetery above Omaha Beach. Men of all ages. But mostly many, many, young boys who will never grow old. Thank you for saving the world. Thank you for answering the call to duty. And thank you for putting yourself in harms way. Not for treasure. Not for glory. And the only territory gained is the graveyard and beach. That, (thanks to France) is American soil. We paid for it in American blood. This entry was posted in History and tagged memorial day by jackhammerjohn. Bookmark the permalink.